Former CEO of Godfather’s Pizza and now one of the leading Republican presidential candidates Herman Cain has been shaking the race up recently with his amazing rise in poll numbers. But who is he really? What is it he aims to get out of this? While his skills as a businessman and devotion as a father and spouse are clear to see, political savvy as well as foreign affairs expertise seem wholly lost on the man. Whether referring to the mythical nation of “Ubeki-beki-beki-beki-stan-stan” and still not revealing who its president is (I, for one, would love to know) or displaying truly bizarre political ads of his campaign manager taking a long cigarette drag to music which reminds me of the soundtrack to “Team America,” Cain has demonstrated he either doesn’t care about winning or that he would make the careers of comedians exceptionally profitable after his election. I particularly enjoyed the apology for his stance on the U.S.-Mexico border (an electric fence that would kill immigrants, which met with loud applause whilst he was campaigning in Tennessee) in which he said he was “joking”- only to claim he wasn’t joking a few days later in Arizona. This isn’t the only time this minority candidate has appeared racist; Cain in fact admitted to reporters he was relieved when his “foreign sounding” doctor who was to perform colon cancer treatment on him was Christian. More recently we come to his apparent harassment scandal in which he allegedly paid off the women concerned and legally barred them from speaking out. At least he was quick to point out that such a deal is an “agreement” which is of course very different to a “settlement.” A recent interview with the Milwaukee Wisconsin Journal Sentinel was perhaps the most painful discussion to watch since Sarah Palin forgot which news sources she regularly read back in 2008. When asked whether he agreed with Barack Obama’s intervention in Libya he spent a good thirty seconds or so looking at the ceiling for an answer and then asking the interviewer who the US president supported before all of a sudden remembering the name of Colonel Gaddaffi. No, sir, while the pauses may have been hilarious, your opening phrase “Obama supported the uprising, correct?” may have had a little more to do with the criticism, as well as your general lack of legitimate ideas. The candidate also stressed the importance of learning all the facts before action; clearly he should make this a priority. It’s not only in interviews either. In CNN’s recent Republican primary debate Herman Cain called prominent American Journalist, Wolf Blitzer, by the name of “Blitz” whilst answering a question on whether American Muslims should go through extra security at airports (the answer to which was a politically correct way of saying yes). 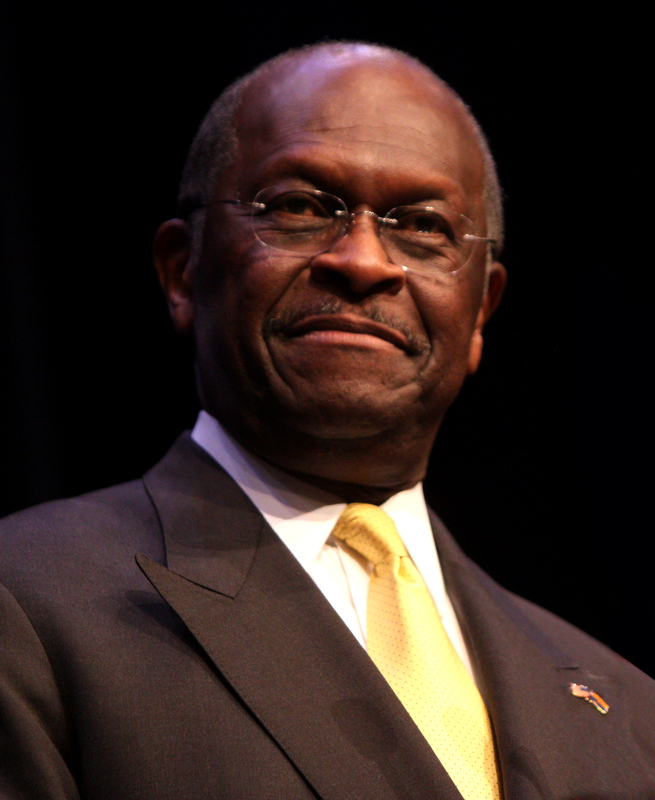 After everything we’ve seen since his meteoric rise in October, is Mr. Cain really running for president? Or does he wish to follow in Mrs. Palin’s footsteps and raise his upcoming book sales? You decide.